The 2016 FUN show in Tampa was a great way to see which direction investors will be looking to this coming year. The largest rare coin show of its kind features thousands of investors, dealers and collectors. Yet again, it proved to be a runaway success for our clients, and we came back with some exclusive opportunities for those of you yet to invest (more on that later). This year had a slightly different feel than previous shows. When I arrived at the show, I saw what seemed like a panic, but later understood it was becoming a scramble to acquire the best coins they could, while they still could. ASI clients had their money in the right place, at the right time. Why the scramble? That same day, the stock market fell almost 500 points during trading hours. Dealers were breaking away from clients to speak with their brokers making sure they were protected. Nearby restaurants buzzed with talk about what everyone’s approach would be in 2016 to counter what most believe is an overvalued stock market. 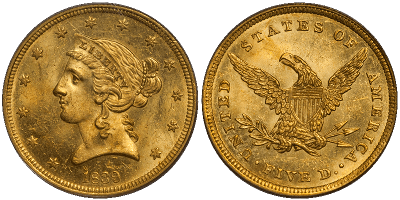 Most dealers quickly realized that the FUN show represented the best place to acquire quality coins for clients that would soon be looking for protection from major markets. I recently read an article that directly contradicted what I saw at the FUN show. Major world bank, RBS, was telling investors to “sell everything” and hold on to cash. According to RBS, there is nowhere to hide with your savings right now, other than cash. On the contrary, there are excellent options available to you. Our Rare Coin Program is a perfect example of a way to not only shield yourself from losses during these times, but to also profit over time as well. Take a look at the chart below. 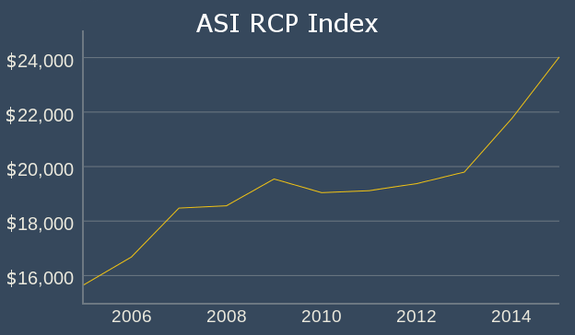 It represents a 10-year price history on the EXACT coins we have purchased for clients in our Rare Coin Program. This data does not contain outliers that skew data. These are honest and straightforward performance numbers for the caliber of coins we acquire for our clients in the program. Focus on the 2008-2009 range. While major markets were losing 30-40%, our coins increased in value! Not only that, from 2005-2015, our coins averaged about a 60% gain. In my opinion, those are strong numbers for wealth preservation and profit potential during the worst recession since the great depression. If you are looking at this information and saying to yourself, “This isn’t for me, I don’t understand it,” let me tackle a few myths for you to get you started. You need to invest 6-7 figures (or more) in rare coins for it to be a worthwhile investment. Not true. The 10-year price history above contains coins where the average price per coin was $15,000. You can achieve the same type of performance in coins that are $5,000 and up. Each coin’s performance will vary based on the market, but that is a strong average showing almost every investor can have a non-correlated asset in their portfolio. On the contrary, U.S. rare coins transacted over $1 billion in 2015. 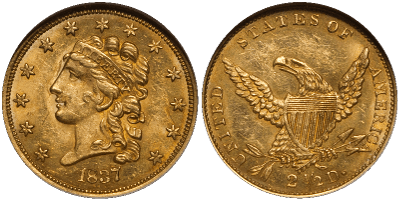 Rare coins are more ‘commoditized’ than they have been in the past. With publicly available auction records, comprehensive online price guides, and proliferation of third-party grading services, increased transparency has increased demand and access to the rare coin market. Anyone can buy coins effectively if they do some research. It takes a lifetime of knowledge to fully understand the rare coin market. 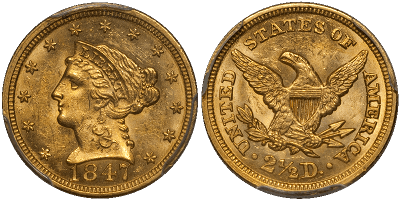 Yes, you can go online to a coin auction and buy coins, but what should you buy? The question of what to buy and how not to make mistakes in buying is difficult to someone new to the market. This becomes especially difficult when considering the caliber of coin we are talking about in our program. 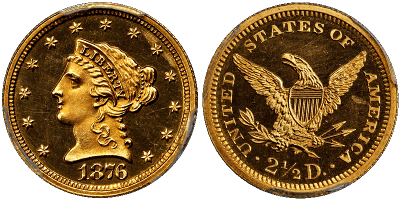 Fortunately for you, we work closely with Douglas Winter, who is considered the world expert on early U.S. gold coins. We are putting his lifetime of expertise to work for you to help make the best decisions possible when looking for coins. 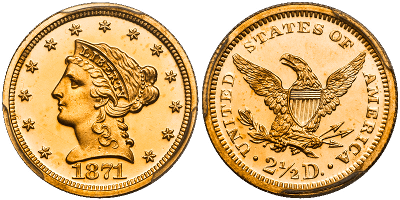 Here are two coins we acquired at the FUN show that are available NOW and which we feel would fit the program well for a prospective client. I’m sure you will have additional questions about the program and how it works. When you do, feel free to send me an email or call me at 800-831-0007. No question is too small. We are here to help you understand what options are available to you in today’s market. Non-correlated assets like rare U.S. coins are going to be in high demand in 2016. With major markets sure to be volatile throughout the remainder of the year, why not consider an option with strong historical results and time-tested stability? Give us a call to help protect your assets in 2016 and beyond.